Tired of the same look each day? Here We bring you this apple watch band that is so special, so fashion, so powerful, and so beautiful that your apple watch will definite need it. 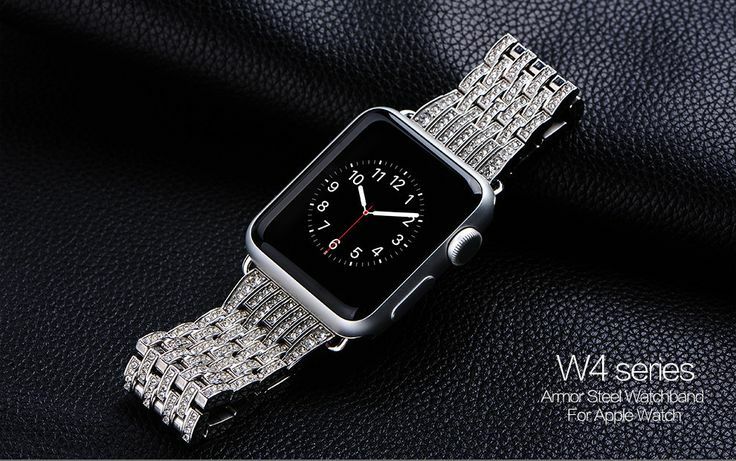 – W4 Diamond Bezel Stainless Steel Band, Perfect for 38mm or 42mm of Apple Watch Sport, Apple Watch, Apple Watch Edition – Premium Quality Genuine 316L Stainless Steel Band, Durable and elegant – Comes with the stainless steel attachments (band adapter) that slides into the Apple Watch – Beautiful and Unique female iWatch band for women, lady & girls Its would help you to make your own fashion statement. Individual and creative. We truly believe it will be a wise choice if you are looking for the Diamond Apple Watch bands.